Explaining the unique psychology behind the SEALs' legendary training program, a high-level SEAL officer reveals the modern techniques that transform a chosen few into lethal warriors and details how the SEALs' creative operations became front-and-center in America's War on Terror. Original. 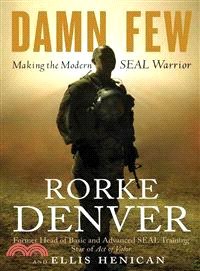 In 14 years as a SEAL officer, Lieutenant Commander Denver has tangled with drug lords in Latin America, stood up to violent mobs in Liberia and battled terrorists in Iraq and Afghanistan (earning the Bronze Star with V for valor and other top commendations). He has also served as flag aide to the admiral-in-charge. He is now at SEAL headquarters in Coronado, California, where he has directed all phases of the basic and advanced training that prepare men for war in SEAL teams. He is currently executive officer of the Navy Special Warfare Center's Advanced Training Command. Telegenic and articulate, he is often asked to represent the SEALs with the media, the military and top government leaders. He is a former All-American college athlete (Syracuse lacrosse) and is married with two daughters. ELLIS HENICAN is a columnist at Newsday and an on-air commentator at the Fox News Channel. He has written two recentNew York Times bestsellers, Home Team with New Orleans Saints coach Sean Payton andIn the Blink of an Eye with NASCAR legend Michael Waltrip.